Thanks to the accidental triggering of an ancient alien technology, Captain Kirk has been banished to his own past. During a brutal massacre on Tarsus IV, Kodos the Executioner entered the history books as one of the most genocidal tyrants of the twenty-third century. As a boy, Kirk barely survived. Can he stand by now and let it happen again? Lt. Kevin Riley is the only other survivor of Tarsus IV serving aboard the U.S.S Enterprise. His traumatic memories provide Spock's best hope of finding their time-lost captain - before Kirk alters their time line forever! L.A. Graf is jointly made up of two people, Karen Rose Cercone and Julia Ecklar. Karen Rose is a university geo-science professor and author of the Helen Sorby-Milo Kachigan historical mystery series. Julia Ecklar is the author of the popular Noah’s Ark science fiction series originally published in Analog magazine. 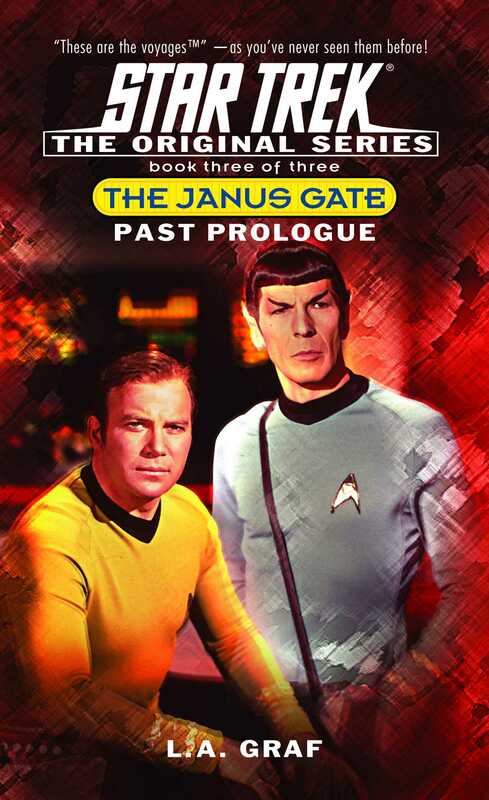 The two women combined as L.A. Graf have written or contributed to over twenty Star Trek novels including a national bestseller.